Foundations Technology Academy (FTA) was delighted to provide technical support on Soilmec micro drilling equipment within the framework of ANCHOR AND MICROPILE INSTALLATION SCHOOL (AMPIS) 2017. The School ran from the 17th to 22nd of September in Lindsay, ONT CANADA. 6-days educational course for ADSC-IAFD Contractor Members incorporated classroom sessions and “seat time” on the rigs for students with limited experience in soil retention construction. At this widely attended event Soilmec was represented by its full-line distributor in Central Canada – Equipment Sales & Service Limited (ESS). 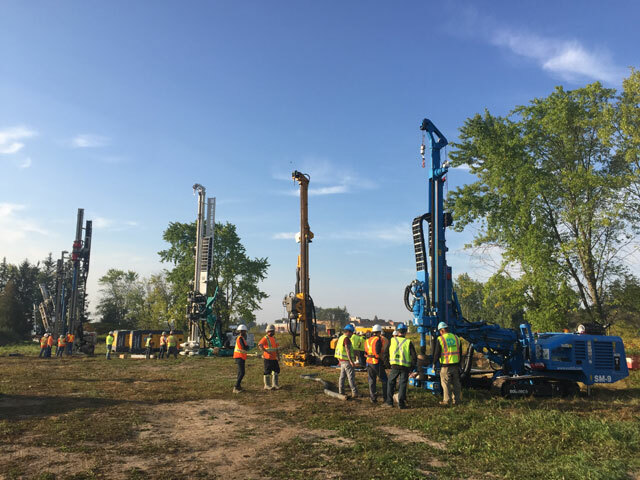 Soilmec/ESS set up a detailed presentation of the SM-9 radio-controlled drilling rig to 30 students, offering hands-on experience and sharing best practice in anchored earth retention and micropile construction. 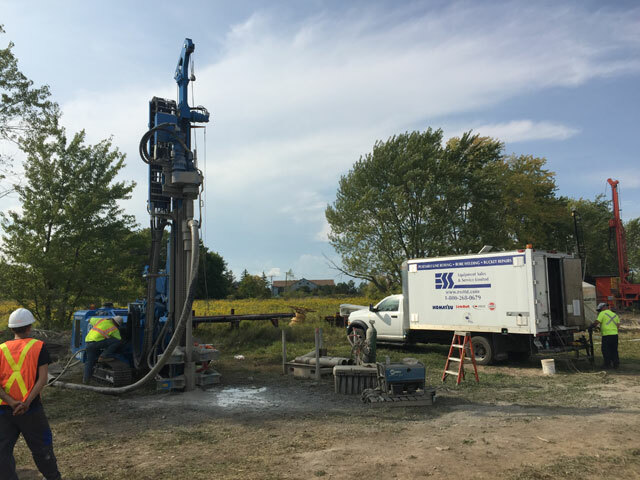 Soilmec and FTA were proud to contribute to this unique learning initiative which brings together best companies engaged in the design, construction, and manufacturing of equipment in and for the drilled shaft, anchored earth retention and micropile industries to foster safe and rewarding business practices. © 2019 . Soilmec S.p.A. . VAT no. 00139200406 .